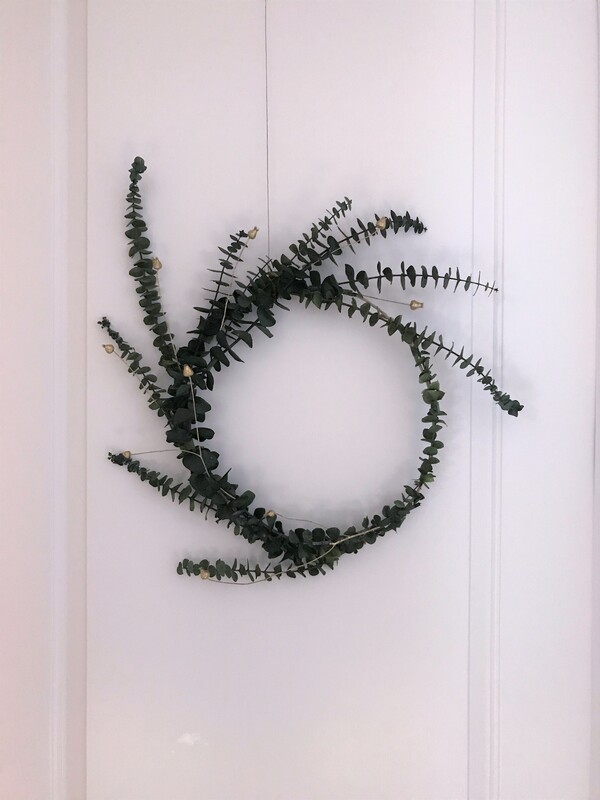 When I moved into my apartment, my mom noted that it would be really nice to have a wreath on the door. 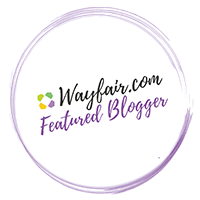 I had honestly never thought about getting one before, since I knew I would only see it for a few seconds a day leaving the house and then a few seconds more when I came home. The more I thought about it, though, I realized how lovely it would really be to have just a little something special to greet me at the door. Since the day I moved in, my apartment has always smelled like eucalyptus. I don’t know if the cleaning crew has the most powerful smelling cleaning supplies in the world, or if somehow there is someone growing eucalyptus next door and it’s wafting into my room, but the smell will not waver. I’ve cooked brussel sprouts, and moped about the kitchen knowing the eucalyptus scent would be replaced by a repugnant veggie smell, but the next day when I came home it was back! It’s become something that I really identify with and that makes me feel at home right away. 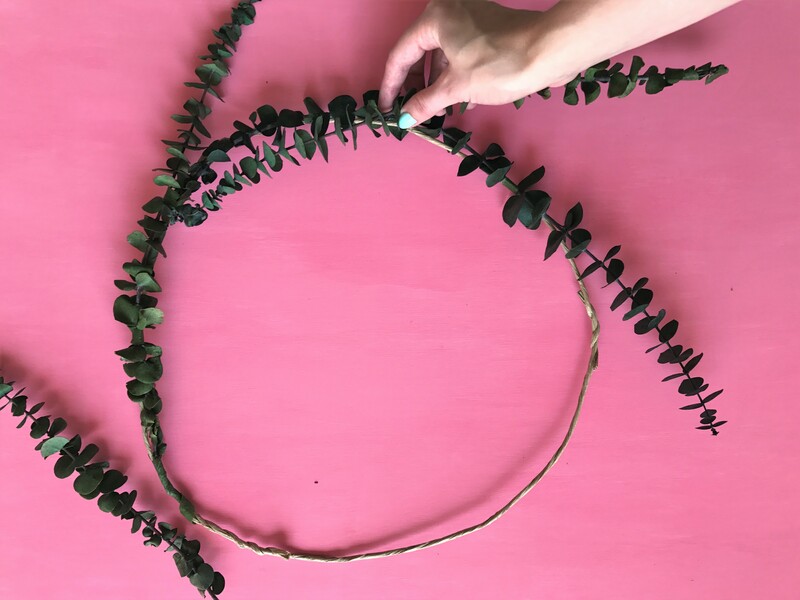 With these two themes running through my mind, I set my sights on creating a non-traditional wreath for Fall using eucalyptus leaves. 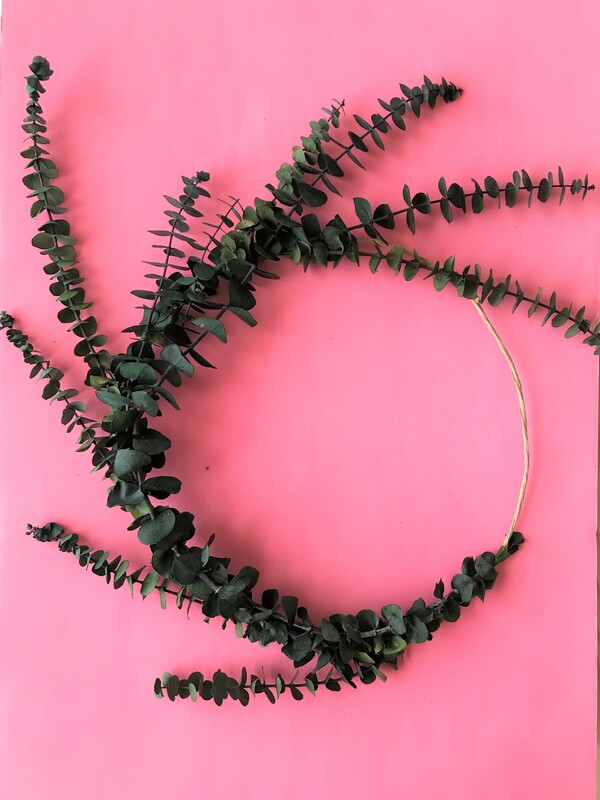 There’s something about the red and orange color palette that I’ve never been fond of, and I’ve been trying to stay away from fake plants and use real ones, so the perfect solution for a long lasting wreath was to use treated eucalyptus branches. They are real, smell incredible, and last for ages! 1. 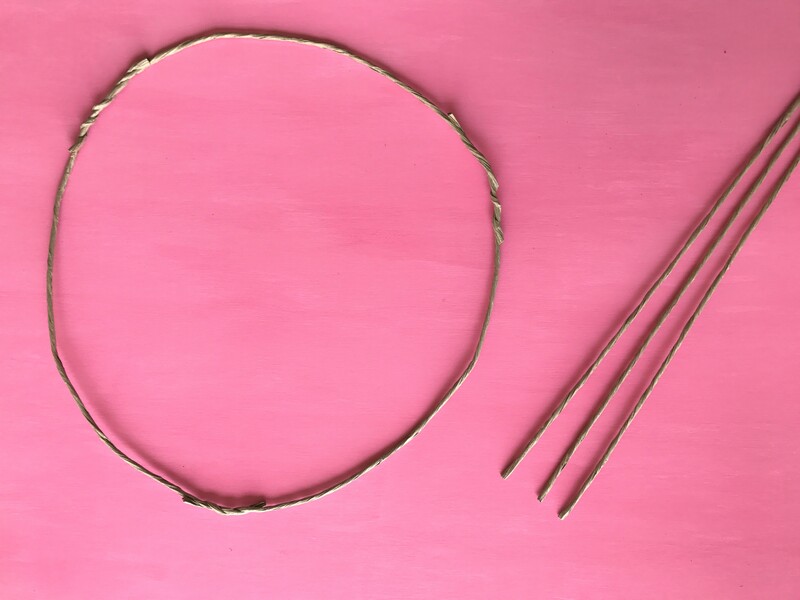 Start by winding 3 pieces of wrapped wire together to form a circle. You can also use a hoop for this, but I liked the look of the paper wrapped wire. 2. Cut a small strip of floral tape. 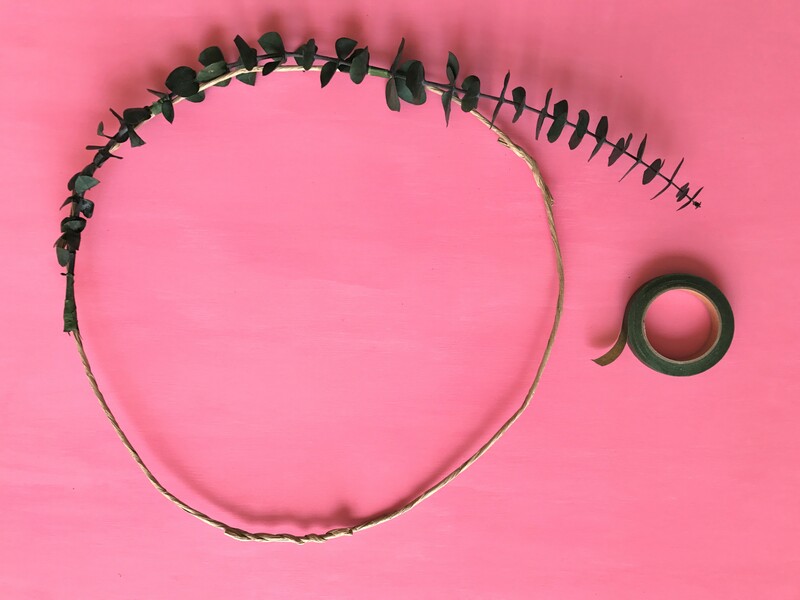 Line up a eucalyptus branch with the hoop and tape the end down by tightly wrapping the floral tape around it. Cut another piece of tape and tape down the eucalyptus branch to the hoop again, but about 2/3 from the end that you just taped, leaving the rest of the branch extended. 3. Continue taping more eucalyptus branches to the hoop in the same manor, but overlapping each other partially. Make sure to add more branches on one side of the hoop, and leave the other side open. 4. 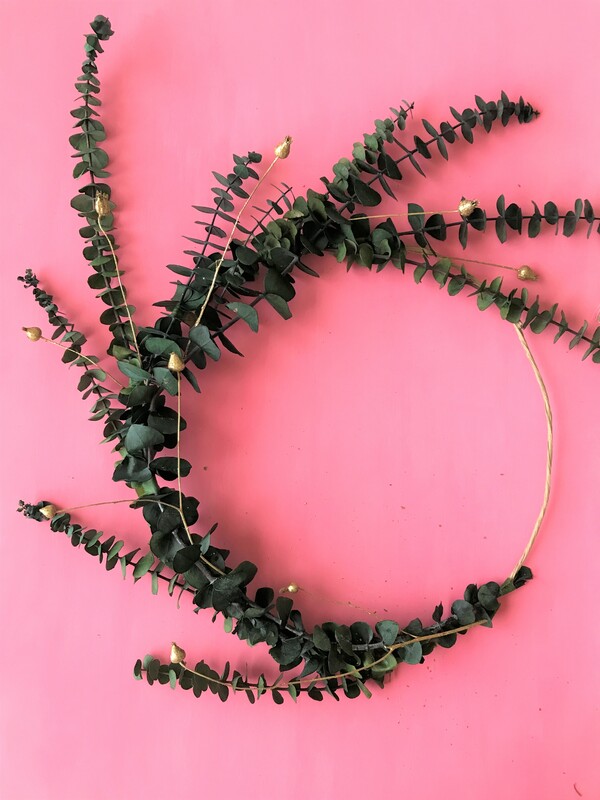 Once you have wrapped most of the ring in eucalyptus branches, add in a few gold branches, also taping them down to the ring using floral tape. Hang on your door, and you’re done! 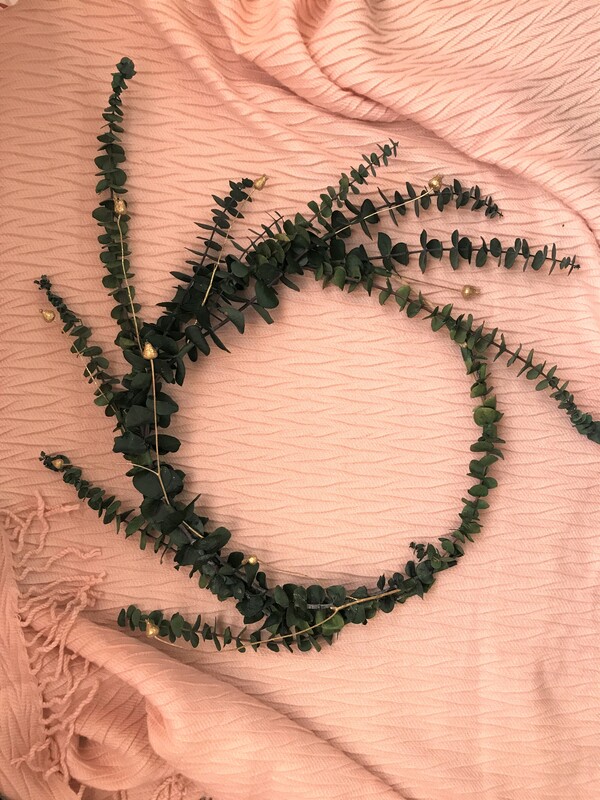 This wreath is beautiful! I love the unique look.